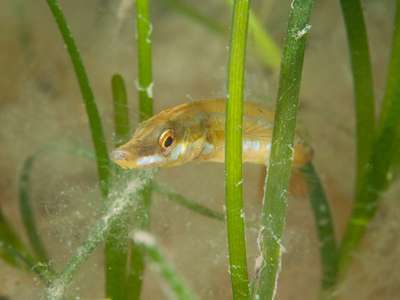 Seagrass meadows provide the ideal place for young fish to thrive, say NERC-funded scientists researching the importance of these habitats for commercial fishing. Globally seagrasses are being lost at the same rate as Amazonian rainforests, and little is being done to conserve these habitats as their importance isn't fully understood. But scientists at Swansea University have just published two studies in the journals Marine Pollution Bulletin and Marine Biodiversity showing these areas are vital to the wellbeing of juvenile fish, and consequently the fishing industry. Over twelve months the team assessed the size and number of fish from various species in seagrass meadows around Britain, and compare the results with nearby sand habitats. 'We were surprised to find so many fish with a commercial value, like plaice, cod, pollock and herring, using the seagrass meadows. In one site in Wales we found 42 species living in the seagrass and eleven of these were commercially important,' Unsworth says. The team measured the size and weight of fish using baited underwater camera systems and beach netting. 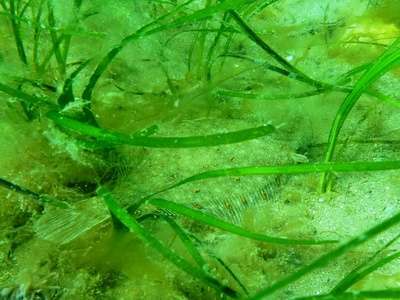 In the UK seagrasses are mostly at threat from poor water quality and damage caused by boat anchors and moorings, but discussion is underway on whether certain meadows such as = Studland Bay in Dorset should become marine protected areas. 'If the seagrasses weren't there then yes, the fish could find somewhere else to use as a nursery, but their chances of survival would be much reduced, and they wouldn't grow as fast, limiting their chances of surviving and reaching adulthood' Unsworth says. Without juveniles the stocks of fish like cod, pollock and whiting would fall, damaging the UK's fishing industry. This study is part of a wider project assessing the benefits of seagrass meadows across the Atlantic funded by the the Welsh Government and the EU and recently the scientists involved set up an NGO. Project Seagrass aims to help conserve these seagrass meadows. 'Every hour, an area of seagrass the size of two football pitches is lost. The rate of loss is equal to that occurring in tropical rainforests and on coral reefs yet it receives a fraction of the attention. Project Seagrass wants to try and change that,' Unsworth says.